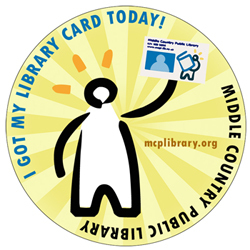 Library cards are valid for three years and are issued to residents of the Middle Country School District. Expired cards may be renewed for an additional three years and at that time, required ID must be shown again. A parent (or legal guardian) must show their ID to obtain a card for their children. It is the parent’s decision whether their child will have a children’s card or an adult card. If you own property in the district, but do not reside in the district, your current tax bill and a photo ID is required to renew your library card. You must also be in good standing at your home library. If you are a business owner, your current lease and identification with your name are required to renew your library card. Cards will be issued only to persons listed on the lease. You must also be in good standing at your home library. If you only receive mail at a P.O. BOX, you will need to show a current photo ID as well as a utility bill which states “Service at” your current address. All materials, except as otherwise noted are 21 days. Fiction DVDs are 7 days. Items from the Special Collections may be checked out at the discretion of the librarian. Interloaned materials are as assigned by the lending agency. Extended Use Fees : All materials, except otherwise noted – $.05 per day. Special Collections : $.50 per day. Maximum overdue charge : $1.00 per item, unless otherwise noted. Interloaned Materials : Fees are the same as for MCPL materials. Damaged and Lost Materials : Replacement costs will be charged to the patron for any item that is lost or returned damaged and beyond repair. These charges will be recorded on the patron record. Returned Check Fee : If a check has been made out to Middle Country Public Library and is returned for insufficient funds, the amount of the check and any bank fees incurred by the library will be charged to the patron and recorded on the patron record. The library reserves the right to temporarily suspend library privileges when an item is overdue in excess of 20 days, or the extended use fees exceed $7.50, or charge for lost or damaged materials are not paid. When an item is overdue in excess of 50 days the delinquent account will be sent to a collection agency and library privileges will be suspended throughout Suffolk County. Library privileges will be reinstated when resolution of the problem occurs. In the event that a patron disagrees with the decision of the circulation supervisor, a request for reconsideration may be submitted to the Library Director. If the patron disagrees with this determination, an appeal may be directed to the Library Board of Trustees. 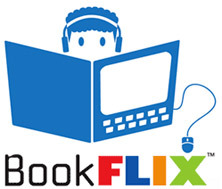 Scholastic BookFlix is a new online literacy resource that pairs classic video storybooks from Weston Woods with related nonfiction eBooks from Scholastic to build a love of reading and learning. Try it out today!